With summer here in full force, I have been surprised with how many dogs don’t have a dog house for shade. 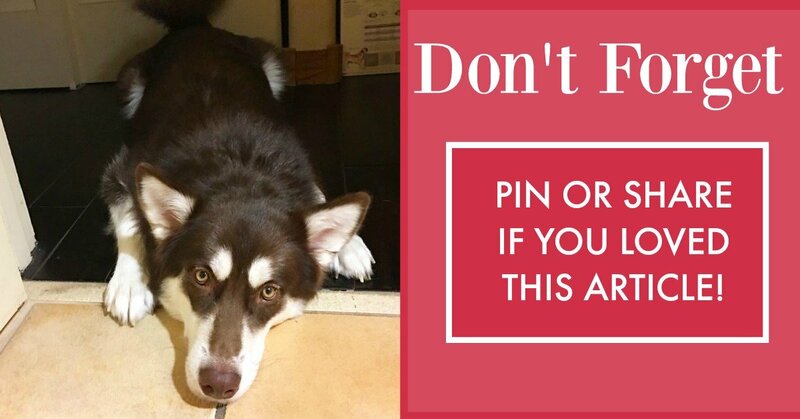 While I am a firm believer that dogs belong indoors with their family, I understand that some people like to give their dogs time outdoors to themselves or just time to have fun with their doggy siblings. Either way, dogs need to have a way to protect themselves from the sun, especially if they are overheating or want to hide somewhere with fresh water. 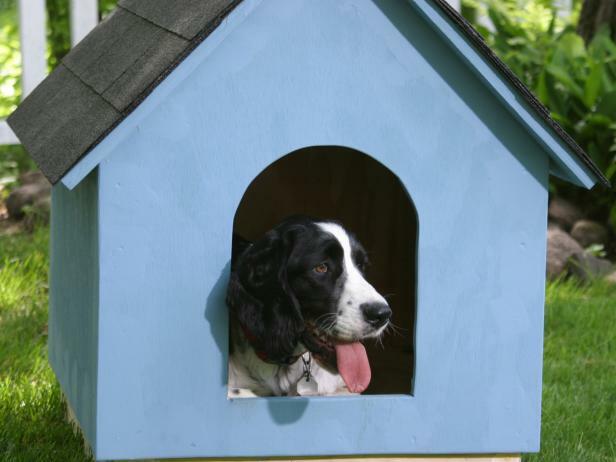 This is one of the reasons I believe that dogs that are outdoors regularly for any length of time MUST have a dog house. 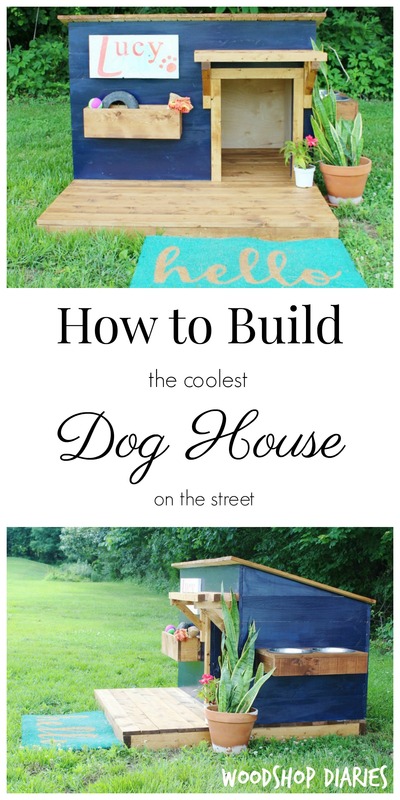 Knowing that not everyone has the money to just go out and buy a quality dog house, we found some of the cutest DIY dog houses. 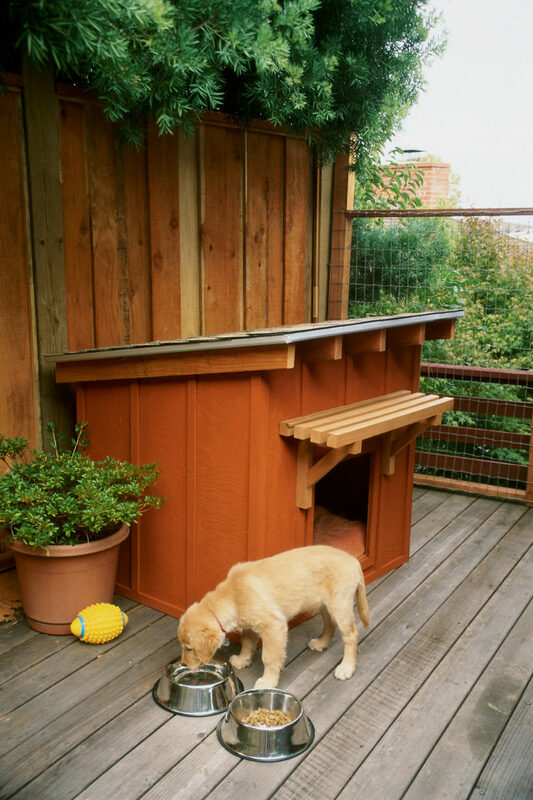 Many of these doghouses are not just adorable, but are easy to build with inexpensive materials or even using furniture you may have in your home (or found at a garage sale). Others are fun little hideaways for indoor dogs who want to have some privacy, giving them a comfy place to sleep where they can still keep an eye on their humans! 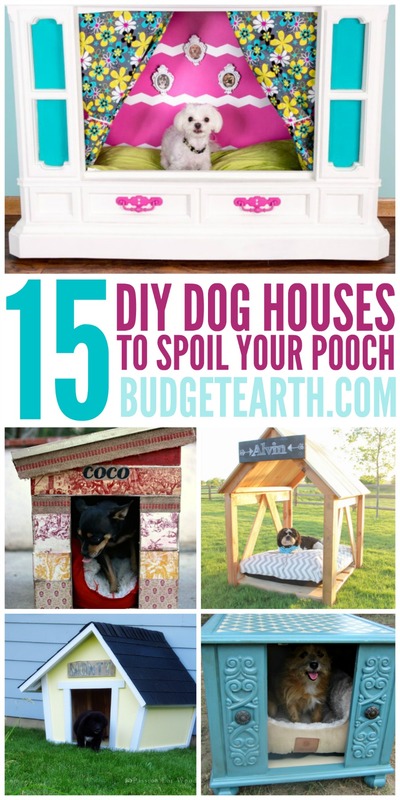 Feel free to tell us what you think of these 15 DIY Dog Houses below. 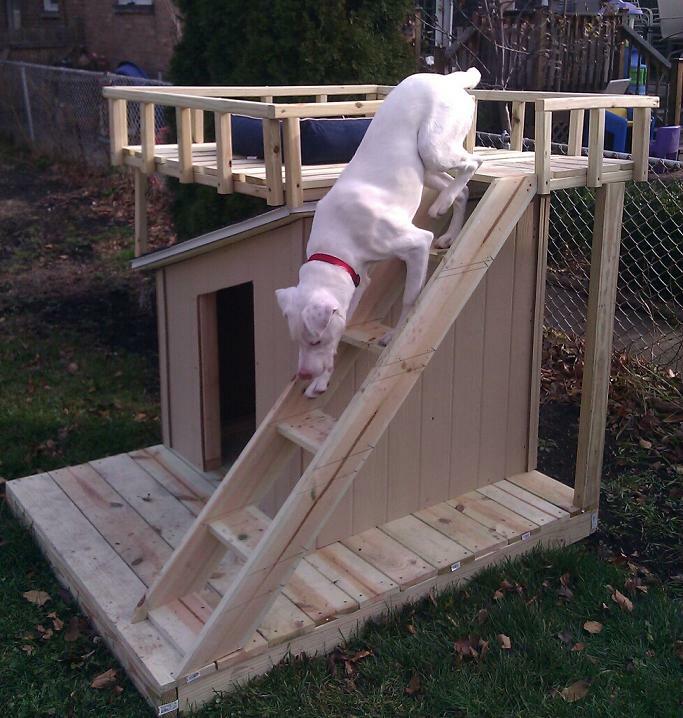 We are excited to see your thoughts or if there is anything you think could be cool for building your own dog house! I love the country dog house with porch.. I can just see my Phoebe in there when we are not home.. I love dog houses but also love having my dog here in the house with me…. I love the log cabin homes for dogs. Not sure I have the ability to make any of these but very cool! These are all so cute. 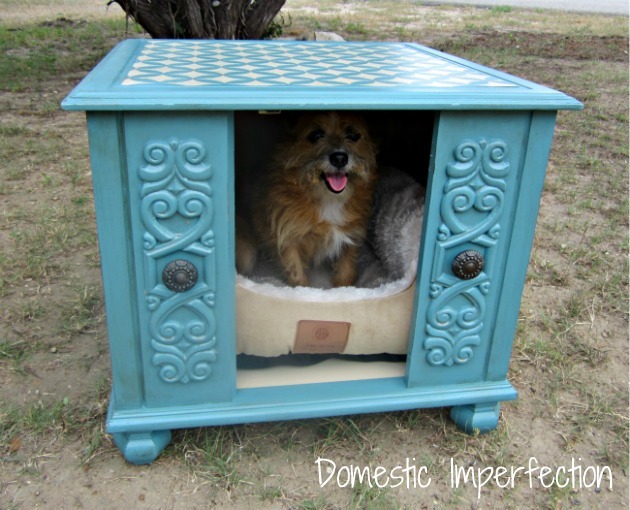 I love the idea of repurposing thrift store furniture into a dog bed. My favorite is the dog house with the roof top deck! I think these are great. I especially like the ones that repurpose other items. These are all great but I can only see my dog in the Teepee! 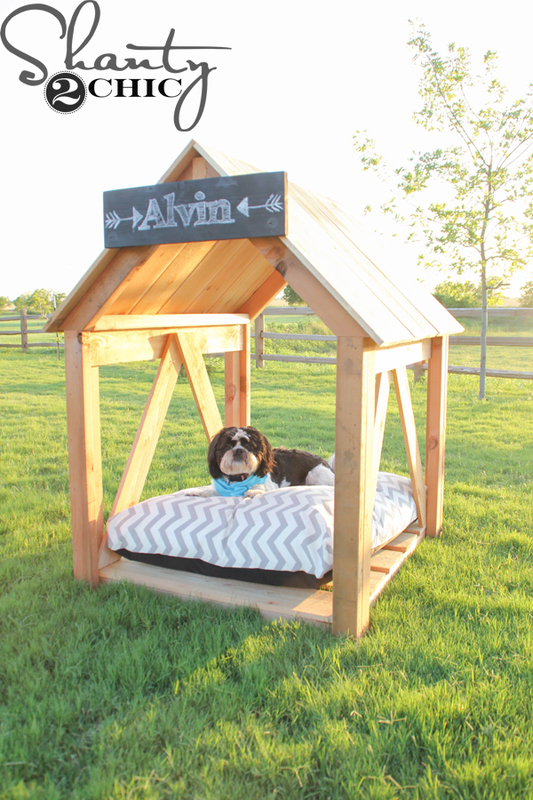 These are some pretty fancy doghouses. These are so cute. My dog is so spoiled, she sleeps in our bed at night. These are all so cute.Great ideas to easy way to save money. I love the look of the classic red and white dog house. These are all so amazing. I think that my dog would love the country dog house with a porch because then he could have and inside and outside option. So neat. These doghouses are great! I especially like the dog tepees! oh me oh my! I got so many chuckles at these, so darn cute, I can’t pick a favorite!!! I can see how any dog would love to have his or her own little house like these!! I like the one with the top deck and the two with front porches. That are some spoiled dogs. My cat has a bed, but she prefers to sleep on our beds. I love the cute beds for doggies! These pooches are definitely sleeping comfortably . The top deck house really impresses me alot. I would spoil my pets with houses like yhis. It’s a great idea! 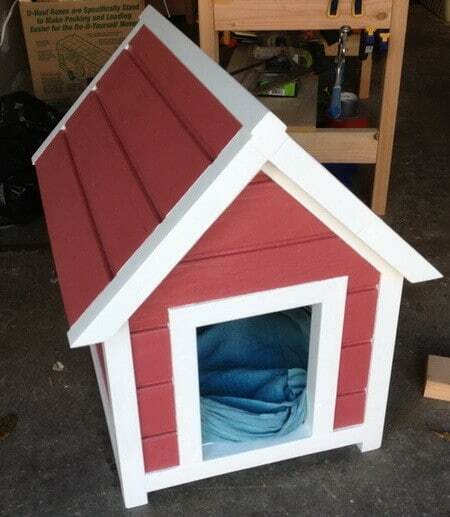 Wow, these dog houses are absolutely adorable and I am sure a lot more affordable. I don’t like to put my dogs outside but this is a good idea for owners that do prefer to do that. These are adorable! I love the ones with the porches! What nice houses. I’ll make one for my dog. 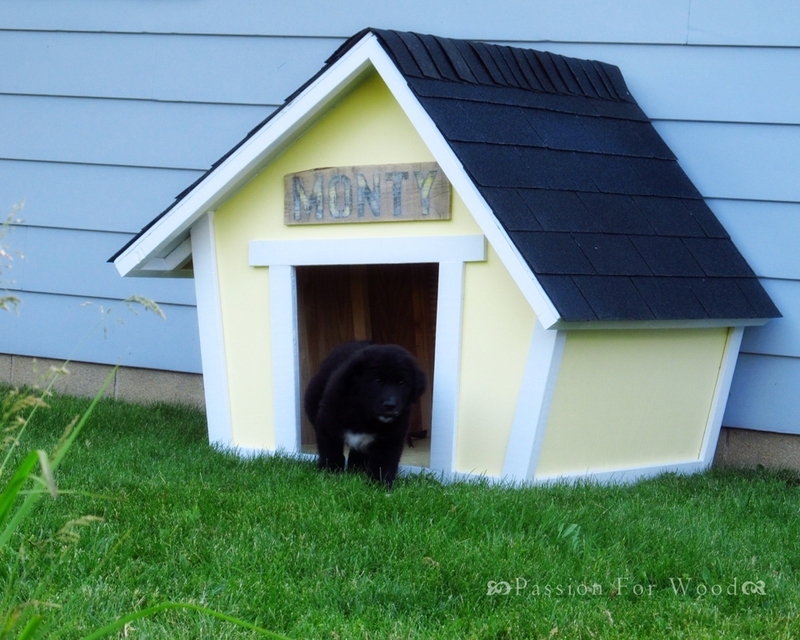 Thanks for sharing these adorable dog houses! I love these fashionable dog houses! They’re incredibly colourful, and definitely a way to brighten up the usual, plain dog houses. Love this! Ha ha! The Crooked Doghouse is what mine would turn out like! Our little Dexter weighs almost 7 pounds. 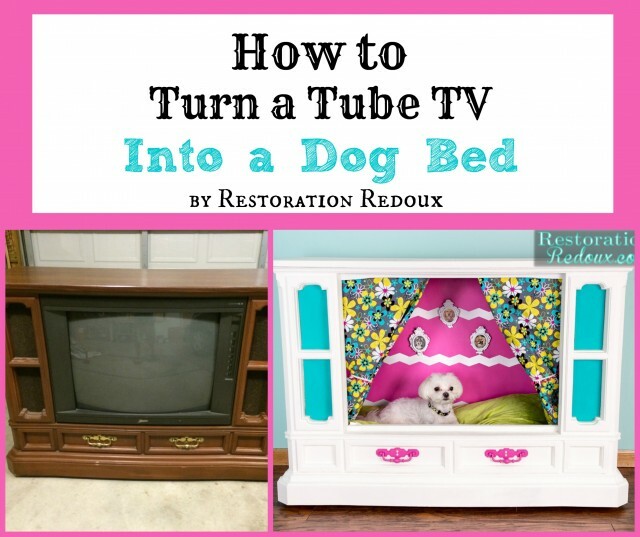 If I ever find one of the old tvs, I want to make him a dog house like that (for indoors). These are really cute. It gave me some ideas for my husband to build one. some of these are way too awesome! Love the teepee! Wow, what a great variety of dog houses!! I love them all but my favorite is the Dog House with Roof Top Deck!! So cool!! My dog is not an outdoor dog but I’m glad these owners put in so much effort to make their pups comfortable. 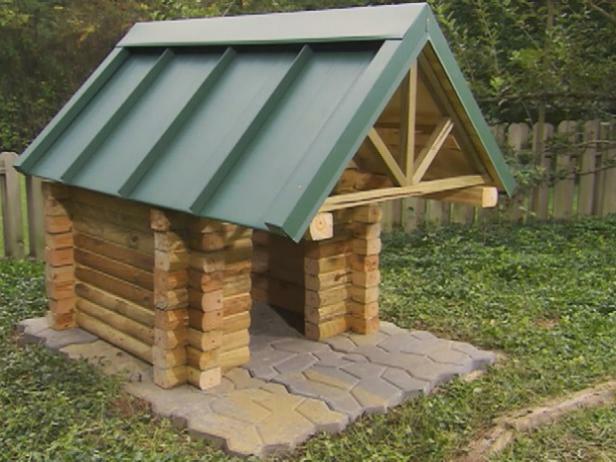 They are all awesome but that log cabin dog house is amazing! These are so creative and innovative. My doxies would love one of them! Thank you for sharing. These are so cute and creative. I love the one made with the end table. These are beautiful dog houses. I won’t show my cats these, I know they’ll be begging for me to get one or two. The house built under the side/end table is such a smart idea. Some of the other ones are SO cool!